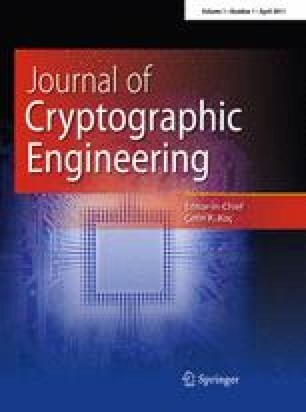 The security of McEliece public-key cryptosystem is based on the difficulty of the decoding problem which is NP-hard. In this article, we propose a simple power analysis attack on this cryptosystem. The attack exploits an information leakage, which results from the relation between the error vector weight and the iteration number of the extended Euclidean algorithm used in Patterson Algorithm. Executing the proposed attacks enables the extraction of the secret error vector, and thus the plain text with minimal overhead. A countermeasure is presented which removes the information leakage and prevents the simple power analysis attack. The attack procedure and the countermeasure are applied to a cryptoprocessor implementation of the McEliece cryptosystem running on a FPGA platform.